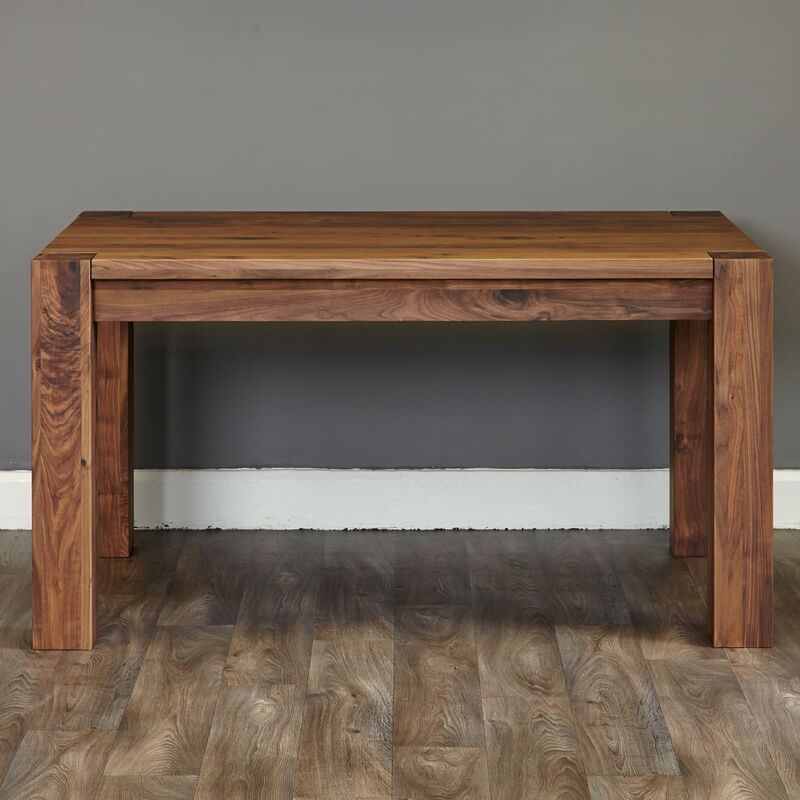 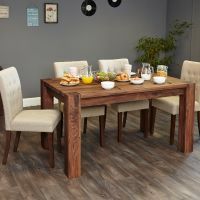 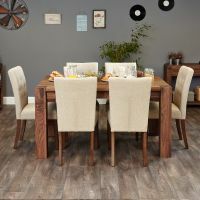 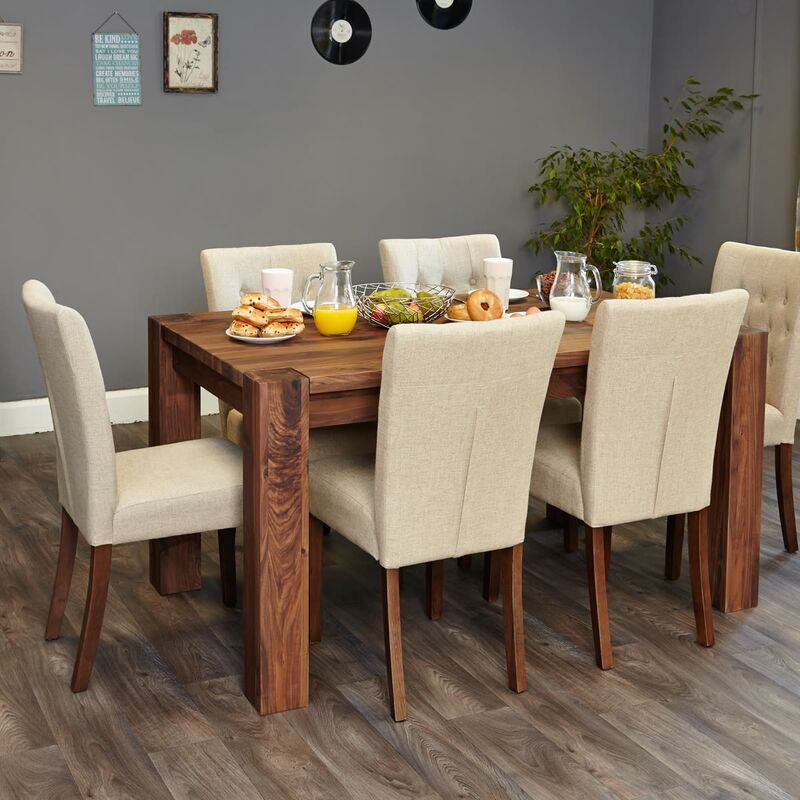 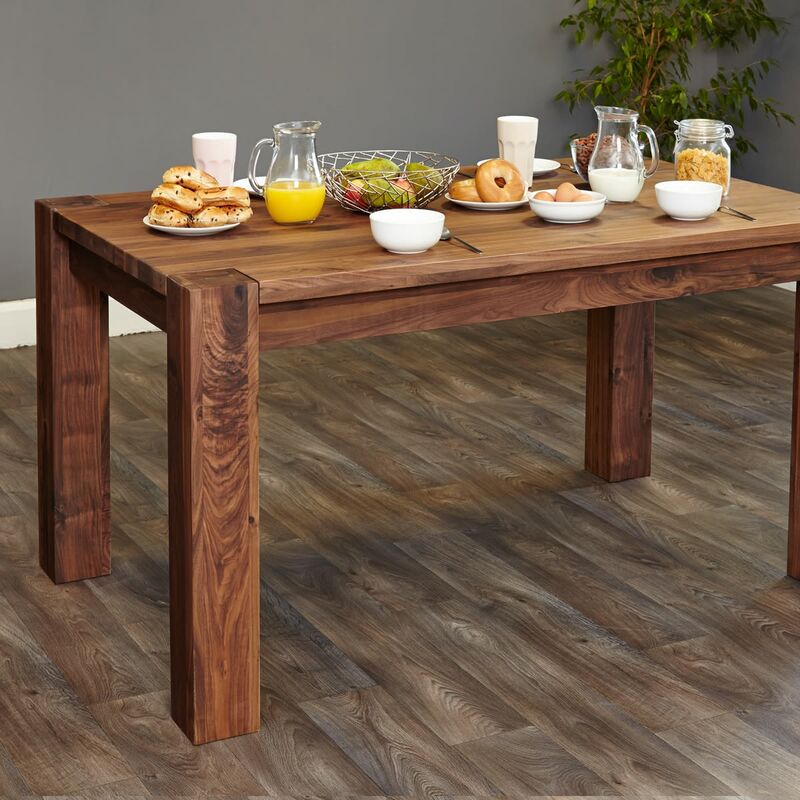 This beautiful, solid walnut dining table is practical, stylish and will comfortably seat four to six people. The table has chunky legs which are cut into the table top adding extra design detail. 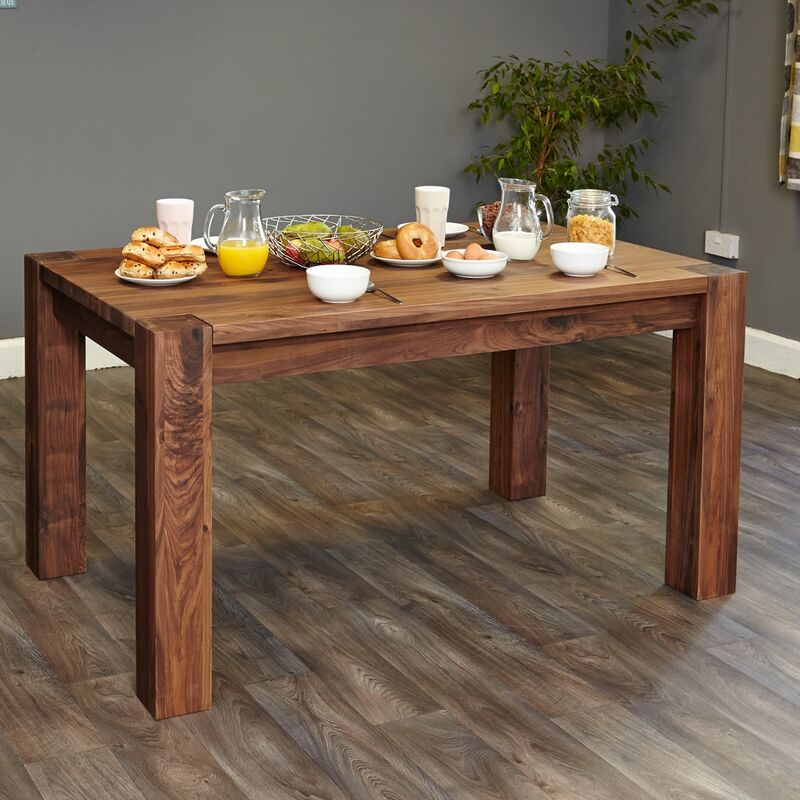 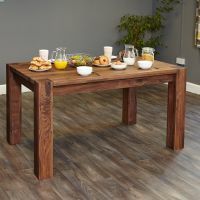 The table has a resilient satin lacquer finish, making it is easy to keep clean while emphasising the stunning wood grain.